The hardest aspect of the project has to be choosing the tile itself. 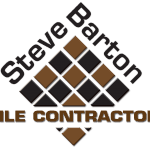 Not only do I have the craftmanship to install your tile project, I also have the expertise to help you select and design your custom project. Tile is one of the most artistic, and cost-effective wall and floor coverings. Tile is hard, strong, easy to clean, and fire resistant. Tiles can be glazed or unglazed and the variation in color is just about limitless. Ceramic tile is made from different mixtures and types of clay, sands, and other natural substances. The tile body is molded into shape, then fired at high temperatures in a kiln. Glazes are created from different minerals, mixed with a clay base, and applied to the tile. The tile is then fired. The process of tile creation, as well as materials used, allows an infinite range of design, shape, and color variations. Tile may be made of clay, Fired glass and it can be cut from stone such as marble, granite, limestone, and slate may also be used. Tiles may be mass produced or created individually by an artist. Ceramic Most tile is glazed with color baked on during the firing process. Available in high-gloss, matte, and slip-resistant finishes. Commonly used for walls, countertops, backsplashes, and floors. Floor tile may be used on walls, but wall tile may not be suitable for floors. Porcelain Porcelain is a variation of ceramic tile. It is fired at higher temperatures and produces a finer, harder tile. Heavy traffic areas. floors indoors and outdoors. Mosaic Made from different types of clay with color pigments added so the color goes all through the tile. Suitable for almost any surface because mosaic tiles resist moisture. Quarry Tile Broad classification for any tile made out of a mixture of clays. They are usually red and left unglazed. Interior floors because they´re usually porous and irregular in shape. Surface may be sealed or not. Natural Stone Slate, marble, granite, and limestone . High-end tile projects for floors, counters, and walls. Glass Multicolored, and some are iridescent. May be smooth or rough. May be hand painted. Useful indoors and out for backsplashes, floors * if slip-resistant , walls, swimming pools etc.